The English never fear the French. The French never fear the Irish. The Irish no longer fear the Welsh. The French are always wary of the Scots. The Welsh fear nobody, but hate the Irish (according to Gatland). The Scots always fancy themselves against the English. The Irish don’t know how to beat the French and when it happens it’s by accident. Ireland love the English as favourites, and always assume they can beat them. So what is it about the psychology of team sports, or at least international rugby, in which results seem more about the mind than the cumulative ability of the players? How is it that a very ordinary team, which has accumulated three very scratchy away wins, suddenly seems to have the momentum that could bring a second successive Six Nations championship which history would record as bookending a horrid Rugby World Cup? Will history record that PSA was an even more disastrous French coach than his predecessor, or will some future French historian unearth the details of a phone call in which French Federation President, Pierre Camou, a Biarritz patriot, convinced PSA to leave Yachvilli at Biarritz to pick up vital league points against Brive and thus save the Basques from the ignominy of Top 14 relegation? The Six Nations Rugby Championship is acknowledged as one of the most valuable annual international sporting competitions in the calendar. It is considered “a national broadcast treasure” in Ireland, England, Wales and France – and, as a consequence, free to air on state-owned TV stations. Ultimately, it funds the prosperity of the sport in Ireland and Wales and is the sole reason for its survival in Scotland. And yet, by its fundamental organisation, it is a dreadfully biased competition in which there is neither equity in the fixture list, nor in the points scoring format. Going towards the last weekend of competition which is played on a single day – solely to allow the TV companies to make an even bigger splash about its importance – Ireland, with no chance of winning the competition, travel to Twickenham with nothing more than tribal incentive to beat their oldest foe. England, on the other hand will know precisely where they are by the time kick-off arrives and may be in a position that a second successive championship win is within their own control. Meanwhile, the French travel to Cardiff knowing that even victory can only bring them to second place, whilst the Welsh are the only ones with the luxury of certainty that success in Saturday’s game brings a guaranteed championship. So, take out a blank sheet of paper and write out the names and individual experience of the two squads competing in Twickenham and then do the same for the two teams competing in Cardiff. Simple task equals simple result, yes? Er, no. Simple description, but bloody difficult task. For two of Ireland’s first three matches, the word within the Irish camp was that the players just hadn’t performed – to their standards. This was the accepted wisdom from the players themselves. Most of the “little margins” that go to make up the total credits had fallen to the Welsh in the first game, and whilst the second half of the Italian game was effective, nobody in the squad was happy with how hard it had been for Ireland in the first forty minutes. So what is the mood in the Irish camp for the visit to Twickenham? Will they be inspired to lift the nation once again, with the prospect that Cheltenham may not provide that inspiration? Or, will the English team confound their critics, local and international, and perform for their underwhelming coach and start the ascent towards a tumultuous sporting summer where London will sit atop the World stage? Every professional sport coach will agree that at the highest levels, momentum is almost everything. Ability is a given at these levels, but performance is the unteachable. There is no manual to reach for when it comes to ensuring that the individuals and units will be inspired by the occasion or enthused by the challenge. When the top four inches engages completely with the heart and limbs, the impossible becomes doable and the difficult looks easy. O’Driscoll and O’Connell have been the inspiration for occasional such performances from Ireland for the past five seasons. Last Saturday Ryan and Ferris became the talisman. Next Saturday, Ireland will need at least two more to step forward and pick up the baton. Sexton owes his coach a commanding performance. Heaslip owes himself one. O’Brien owes nobody any debt, but would love to jump back up to the elevated heights he enjoyed last season. Tommy Bowe has the ability to sign off this 6 Nations with a performance which demonstrates that the No 14 Lions jersey doesn’t automatically go to a young Welsh lad, whilst Robert Kearney has looked on the cusp of a combined Andy Irvine / Gavin Hastings performance to adorn the Olympic city. England’s answers might come from Foden, Ashton, Tuilagi, Dickson, Croft or Morgan but in truth, other than the Nos. 13, 14 or 15, they don’t yet seem to have the star quality or experience to perform on the biggest stages. So maybe it will come down to national stereotypes. No-one in the world does spectacle like the English. Whether it is Trooping the Colours, or a royal wedding, or a state funeral, the English always produce the style, panache and attention to detail that makes the outsider marvel. London will be the centre of the sports world this summer but the Mole hopes that a Lords Test Match, followed by Wimbledon and crowned by the Olympics will be enough to keep a nation satisfied. Ireland should celebrate St Patrick’s Day with a victory in Twickenham, which, incidentally, should also bring a long-relieving sigh from the Committee Room of the RFU as they prepare to unveil Nick Mallet as their new National Coach. 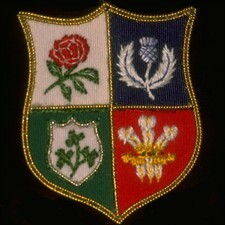 This entry was posted in Six Nations and tagged England, France, Ireland, Scotland, The Mental, Wales by dementedmole. Bookmark the permalink.